With each and every new novel, Dean Koontz raises the stakes, and the pulse rate, higher than any other author. Now, in what may be his most suspenseful and heartfelt novel ever, he brings us the story of an ordinary man whose extraordinary commitment to his wife will take him on a harrowing journey of adventure, sacrifice, and redemption to the mystery of love itself, and to a showdown with the darkness that would destroy it forever. Bill Wile is an easygoing, hardworking guy who leads a quiet, ordinary life. But that is about to change. One evening, after his usual eight-hour bartending shift, he finds a typewritten note under the windshield wiper of his car. 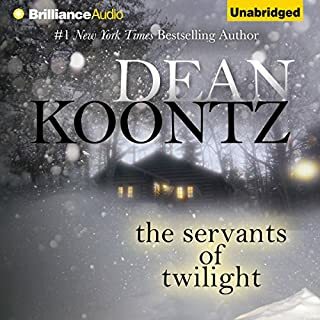 ©1995 Dean Koontz (P)2013 Brilliance Audio, all rights reserved. This book does not include the short stories originally published under this title. The story itself is not the best of Koontz. It has quite a few weakness I don’t usually see in Koontz books. It is among the most blatantly religious of his novels, with characters weaker than usual, a plot that is a bit too straightforward and plot twists that were reminiscent of video games. 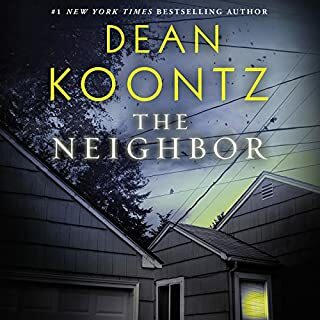 I very rarely find myself arguing with Koontz’s choices (as I do with most other authors in this genre) but several times I found myself drawn out of the story by the silliness of the action. Yet this is not really a bad book, the prose and imagery is better than most, but I won’t read it again though. If all of the stories were included. The reader is okay but the voices he applies to the characters were a little silly. The story itself (the title story and the only one included) was a little silly. I've been reading Koontz for 20 years and this just didn't seem much like him. Do you think Strange Highways needs a follow-up book? Why or why not? I think the rest of the book would be nice! The older version was better! James Spader read the abridged version. Maybe 1995? I have it on tape. He did a great job. Even though it was abridged I like it much better. So Where Are the Rest of the Stories? What happened to the rest of the book? There's only one story here. Disappointed. 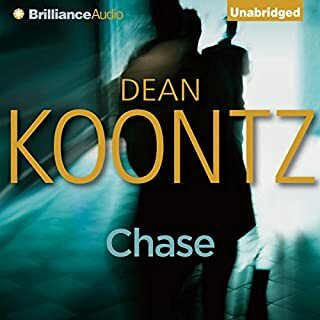 I really had to force myself to finish this book and I like Dean Koontz. I didn't care about the characters, the action was almost non-existent and when there was a little bit of action it was confusing and I still didn't care about the characters. The dialogue was juvenile. At one point one of the characters is thinking about a trait of the other and thinking that is why he loves her. At that point he'd known her for under an hour. Just silly. Normally even with poorly written books if I make it near the end I at least want to find out how it ends. Not only didn't I care about this one but I knew what the ending would be from the first hour anyway. The narration was unremarkable, neither good nor bad. I would guess this narrator could have been good if he'd had anything to work with. How utterly predictable. I'm sorry I wasted the money for this. Koontz can be a bit grandiose and the reader over-acted. What was most disappointing about Dean Koontz’s story? I'd like my money back. Good but Only title story- Rest missing. Would you try another book from Dean Koontz and/or Jeff Cummings? Yes. But where are the other 11? Celeste. She is a strong female and full of faith in good. If all the book was there. I had a hard time getting into this book. 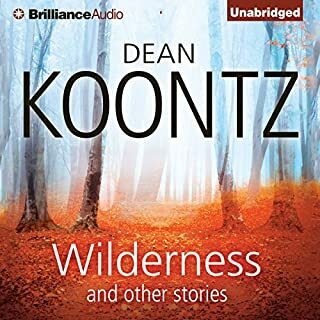 I usually enjoy Koontz a lot but 'Strange Highways" left me behind. A die hard admirer of all things Koontz may enjoy this offering more than I did...but I found it lackluster and not up to his other work. Oh well, every writer has some winners and some less than sparkling books in their oeuvre. I'm undecided as to returning this or not..I finished it, and didn't hate it but it was quite disappointing. 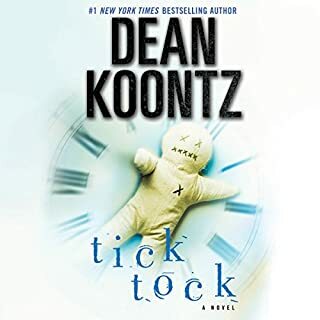 Perhaps I was expecting all of Koontz to be as good as his "Odd Thomas" series. Worth your credit? I found it a "Meh"-average book, but you may love it! What disappointed you about Strange Highways? I thought the story was unbelievably trite. I found myself predicting out loud what was going to happen next and being right 90% of the time. It sounded like something a boy in his teens would write. An unsophisticated boy. Never. The reader sounded like he was putting exclamation points on the ends of all his sentences. No subtlety at all in his delivery. I wished I could get the hours back I wasted on this stupid book.